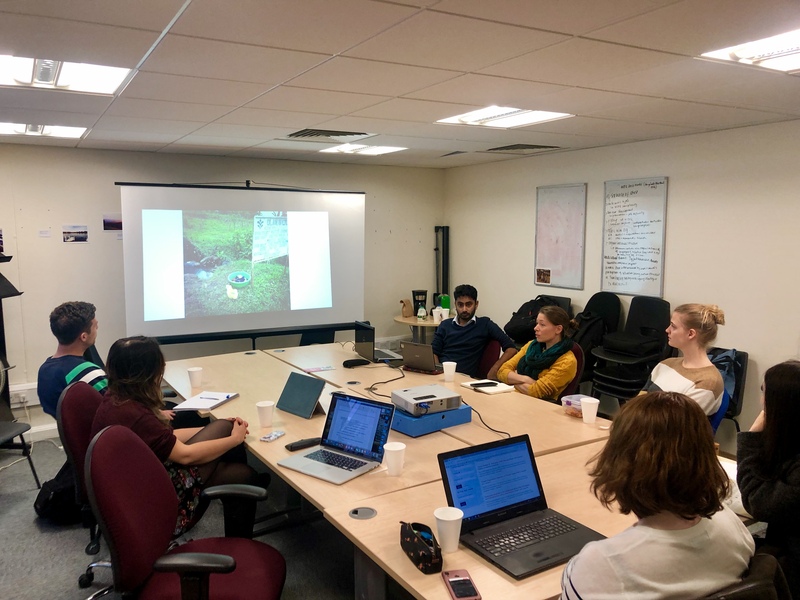 Before the end of Lent Term, the International Development Department’s DESTIN Society organised a Brown Bag Lunch with Development Management alum Shakeel Padamsey. DESTIN President Gabriella Reimer was there and tells us about the inspiring trajectory Shakeel has been on since graduating from LSE. The sound of the machine percolating and the rich smell of coffee wafts over me before I’ve even entered the MSc Common Room. The promise of caffeine puts an extra hop in my step, propelling me towards the nectar of the gods. It’s midday on Thursday March 21st, and I’m headed to DESTIN’s Brown Bag Lunch with Shakeel “Shak” Padamsey, a Development Management alum, and his wife Dana Siedem. Together, Shak and Dana (along with fellow Development Management alum Micheal) founded The Coffee Gardens, a small social business in Uganda. They have stopped by LSE to tell International Development students about their journey. I had been looking forward to this Brown Bag lunch since I was first introduced to Shak via email a few weeks ago. While some may say my enthusiasm was driven by the promise of specialty coffee, I was honestly quite eager to learn about the unique path that Shak and Dana have embarked on. As myself and my classmates near the end of our master’s degrees, we have all turned to the question of life after graduate school. What will we do with an MSc in International Development? Standard answers tend to range from working in international organizations and civil society, to research and consulting. However, on Thursday afternoon, Shak offered us insights into the unique trajectory his degree set him on. Two years ago, Shak and Dana founded The Coffee Gardens, a small business that works with local farmers in Mount Elgon who cultivate specialty coffee. As we quickly learned, specialty coffee can be quite difficult to grow, since it requires a precise amount of shade, a specific cultivation process, and a bit of geographic luck. Despite having an ideal climate and environment for specialty coffee production, there is a limited amount of specialty coffee on the international market that originates from Uganda. 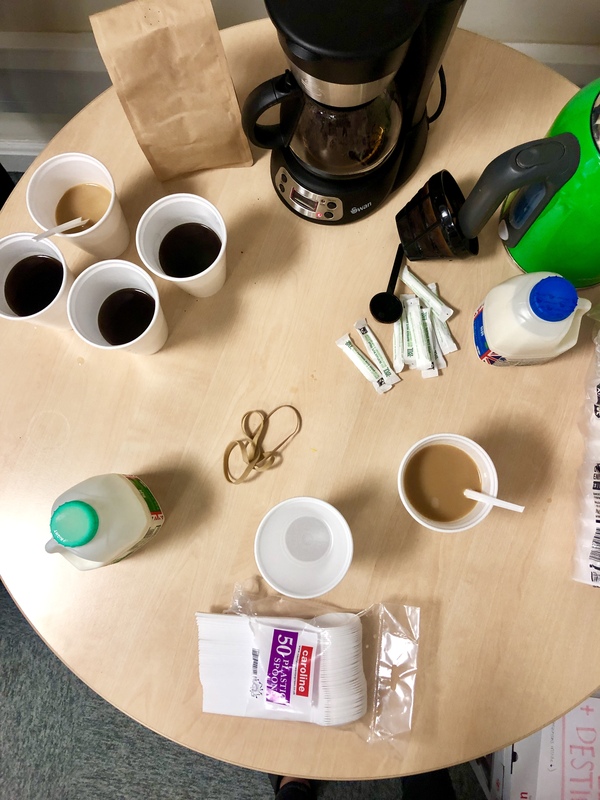 Shak and Dana spotted the potential for local Ugandan growers to produce this specialty coffee and began crafting a business model that would allow them to directly source coffee from local growers and export abroad. Today, The Coffee Gardens works directly with local cultivators by providing technical knowledge and positive incentives to produce specialty coffee. The Coffee Gardens operates a micro-processing station in the foothills of Mount Elgon where coffee is dried and tested for quality, before it is exported to artisanal roasters abroad. Over the past two years, the business has contributed to the local community in a variety of ways, by providing smallholders with higher incomes, educating cultivators in financial literacy, and generating sustainable environmental practices. Although I was ready to pack my bags and jump on the next flight to Kampala, I thought twice once Shak and Dana started describing some of the challenges they have encountered. As one can imagine, establishing a business is no easy feat, especially when taking place in an unfamiliar country and culture. Shak and Dana were forced to overcome a variety of obstacles including filing the appropriate paper work with the government, obtaining export licenses, overcoming hidden costs, and securing a plot of land to build the micro-processing station. They discussed some of the logistical challenges they have faced as well, such as how to get coffee from the top of the mountain to the bottom of the mountain before it spoils and creating positive incentives to ensure that smallholders are following appropriate procedures. Despite some of the challenges, The Coffee Gardens is thriving and in an excellent position to move forward. Although the coffee season only ended a few months ago, Shak and Dana note that coffee is a full-time occupation. They are already thinking about next year! Their story demonstrates the ways in which knowledge of international development can be quite useful outside of the traditional channels. While many of my colleagues will likely go on to work for international organizations, NGOs, and government agencies, I am certain some will also follow in the footsteps of Shak and discover ways to marry their passions with ethical and socially conscious business models. Gabriella Reimer is the president of DESTIN Society and is pursuing an MSc in Development Studies, with a special interest in Political Economy. She studied Political Science, Global Studies, and Spanish at Providence College, although she also spent a year as a General Course student at LSE previously. She is particularly interested in the ways in which advanced countries utilize development as a tool of foreign policy. Are you interested in learning more about Shakeel’s and Dana’s coffee business? Read this article on the International Development Blog and visit their website.